With the summer ending and Autumn is gradually creeping upon us, I feel I still want to savour the al fresco dining experience. With the rain it's impossible to light a barbecue and cook outside so what better way than to create the same barbecued food indoors on a griddle and pair it up with some delicious salads and awesome drinks such as Yeni Raki. Yeni Raki is Turkey's world famous national drink. It has the most aromatic anise flavour made with distilling grapes and aniseed. It makes the meal perfect when paired with appetisers and grilled foods. Yeni Raki invited three chefs, Andre Magalhaes, Barbara Massaad and Aydin Demir to create some dishes from Raki and Fish, a Mediterranean seafood Odyssey Book to go with the the Yeni Raki. I was most inspired by the dishes, but being vegetarian they were not suitable for my diet and so I decided to create my very own vegetarian dish that could be paired with this amazing drink. The succulent Paneer Tikka marinated in aromatic spices and griddled makes the perfect vegetarian option to go with the Yeni Reki. You can see the lovely recipe below. 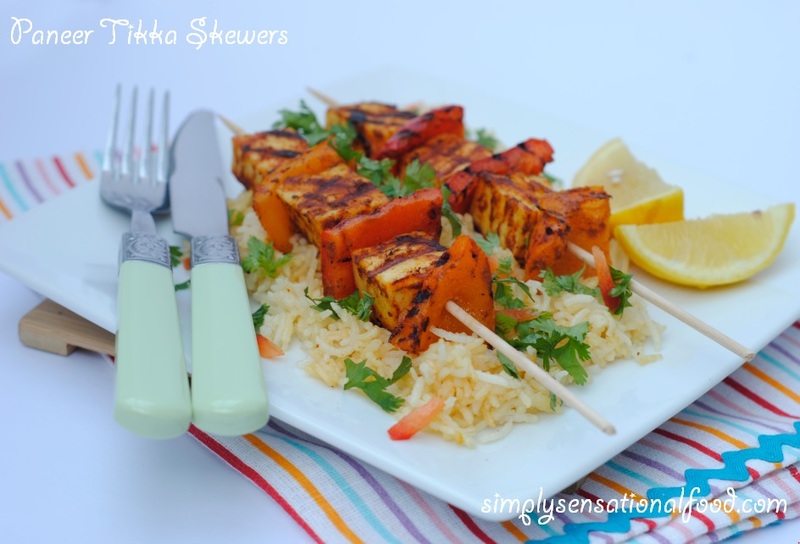 Succulents chunks of paneer marinated in a rich spicy yoghurt sauce and griddled. This post was sponsored by Yeni Raki, all opinions expressed in this post are my own and unbiased. who doesn't love paneer tikka? Looks so good and colourful. Ummm another drink to try when I am in London next. Combination of grapes and aniseed sounds interesting. I've never heard of this drink before, definitely something to look out for. 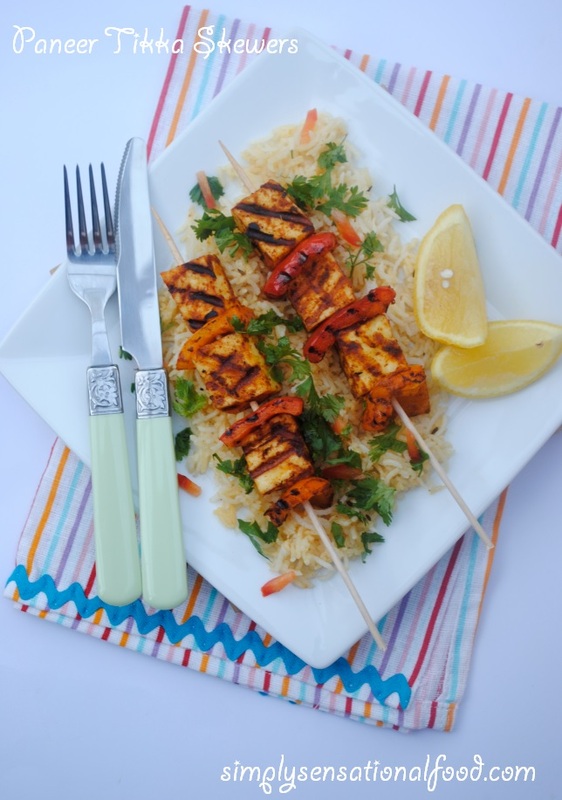 Paneer tikka looks delicious and loved the way you have served it on a bed of rice... Nice to know about the new drink from Turkey..
Paneer tikka looks delicious. Hearing the name of this drink first time. Sounds interesting!! That looks delicious , doesn't help that ive not had my tea yet. these look really fantastic Nayna. Lovely idea. I normally use paneer in a curry, but never thought to use it like this before. I don't think I've tried paneer but the dish looks tasty. 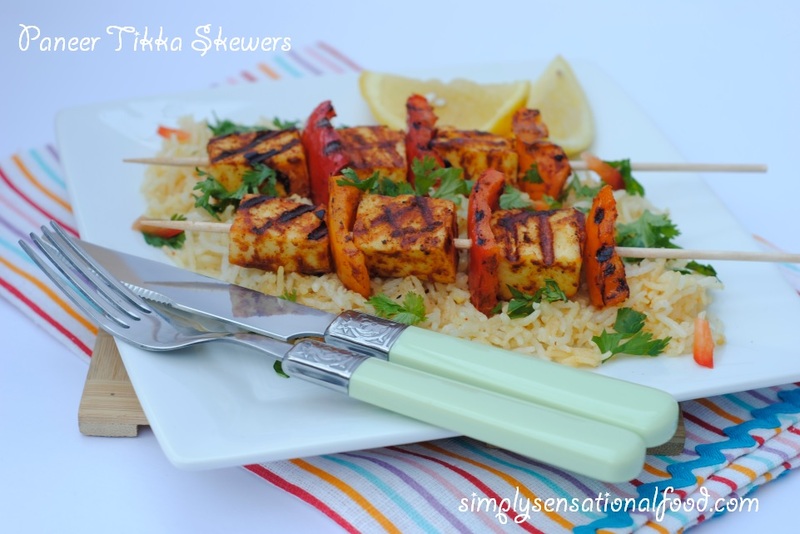 I have never thought to put paneer on a skewer. What a fab idea! Mmmm I love Paneer! These look tasty! Love the punchy clean flavours, Nayna. Leftovers (ha ha - as if) would be terrific chopped up and popped in a wrap with salad too. Yum! These look and sound delicious! Can't wait to try them! Look delicious. Looking forward to trying this recipe out!